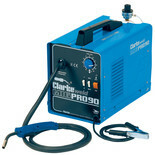 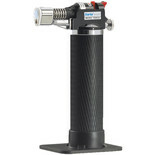 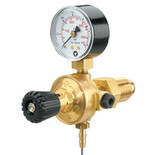 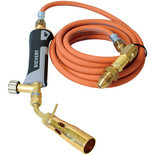 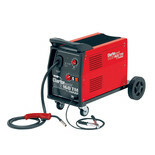 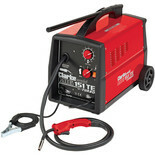 A compact butane gas torch with fine flame adjustment especially suitable for intricate jewellery and model making as well as for soldering and minor plumbing repairs. 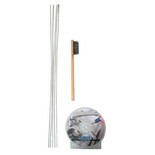 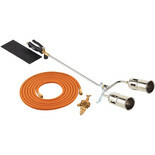 A six part LPG torch kit for use with propane gas, ideal for a variety of heating jobs including plumbing installations. 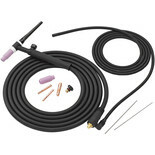 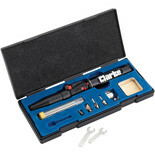 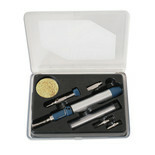 This lightweight, precision Gas torch/soldering kit includes spare tips and solder and is refillable from a standard gas canister and is ideal for computer, in-car stereo systems/alarms etc. 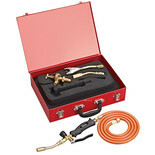 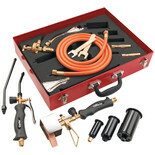 PLK1074 700mm Twin Burner Gas Torch Kit. 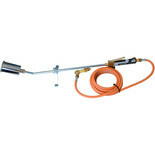 Double 60mm burner ideal for roofing on large surfaces, road line burning, industrial work, weld pre-heating and weed burning.